The Earth, however, does have an atmosphere (section 1.2.1) and this affects its energy balance. The average global temperature is, in fact, 288K or 15C, 33K warmer than the effective radiation temperature. 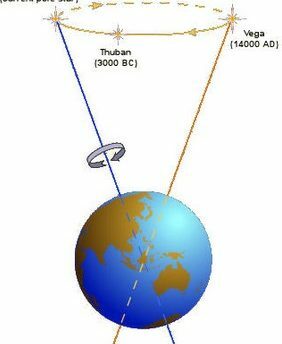 Although the Earth and Sun behave approximately as black bodies, this is not the case for the gases that make up the Earth’s atmosphere. Certain atmospheric gases absorb radiation at some wavelengths but allow radiation at other wavelengths to pass through unimpeded. Absorption of energy by a particular gas occurs when the frequency of the electromagnetic radiation is similar to that of the molecular vibrational frequency of the gas in question. The atmosphere is mostly transparent (little absorption) in the visible part of the spectrum, but significant absorption of ultraviolet radiation (incoming short-wave solar radiation) by ozone, and infrared radiation (long-wave outgoing terrestrial radiation) by water vapour, carbon dioxide and other trace gases occurs. This is shown in Figure 1.2. The absorption of terrestrial infrared radiation is particularly important to the energy budget of the Earth’s atmosphere (Campbell, 1986). Such absorption by the trace gases heats the atmosphere, stimulating it to emit more long-wave radiation. Some of this is released into space (generally at higher, colder levels in the atmosphere) whilst most is re-radiated back to Earth. The net effect of this is that the Earth stores more energy near its surface than it would if there was no atmosphere, consequently the temperature is higher by about 33K. This process is popularly known as the greenhouse effect. Glass in a greenhouse is transparent to solar radiation, but opaque to terrestrial infrared radiation. The glass acts like some of the atmospheric gases and absorbs the outgoing energy. Much of this energy is then re-emitted back into the greenhouse causing the temperature inside to rise. In reality, a greenhouse is warmer than its surroundings principally because of the shelter it offers rather than because of any radiative considerations. Nevertheless, the term has stuck, largely as a result of the media coverage. Consequently, the gases in the atmosphere which absorb the outgoing infra-red radiation are known as greenhouse gases and include carbon dioxide, water vapour, nitrous oxide, methane and ozone. All the gases have molecules whose vibrational frequency lies in the infrared part of the spectrum. Despite the considerable absorption by these greenhouse gases, there is an atmospheric window through which terrestrial infrared radiation can pass (Kemp, 1994). This occurs at about 8 to 13m, and its gradual closing is one of the effects of anthropogenic emissions of greenhouse gases (chapter 6). As well as absorbing solar and terrestrial radiation, gases in the atmosphere, along with aerosols (see section 1.2.1), also scatter radiation. Of principal importance is the scattering of the incoming solar radiation, because this, too, can alter the overall energy budget of the atmosphere. Scattering occurs when a photon impinges on an obstacle without being absorbed. Scattering changes only the direction of travel of that photon. Gas molecules, with small sizes relative to the wavelength of the incident radiation cause scattering in all directions, both forwards and backwards, known as Rayleigh scattering. Aerosols whose size is comparable to the incident radiation cause Mie scattering, which is mostly forward in direction. 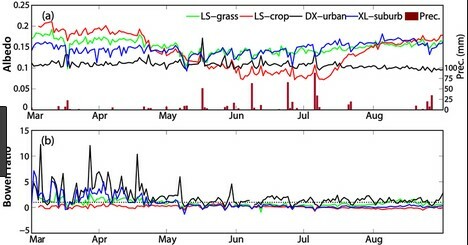 It can be seen that changes in atmospheric aerosol content could affect the energy budget (Shine et al., 1995), having implications for the state of the global climate. This is returned to in section 2.6.5. Figure 1.3 summarises schematically the global energy transfers that have been discussed. Energy arriving at the top of the atmosphere starts an energy cascade involving numerous energy transformations. On entering the atmosphere, some of the solar (short-wave) radiation is absorbed by gases in the atmosphere (eg. ozone), some is scattered, some is absorbed by the Earth’s surface and some is reflected directly back into space by either clouds or the surface itself. The amount of short-wave radiation reflected depends on a factor known as the albedo (or reflectivity). Albedo varies according to the surface. Ice and certain clouds have a high albedo (0.6 to 0.9) whilst the oceans generally have a low albedo (0.1) For the whole Earth this averages at about 0.30, meaning that 30% of the incoming solar radiation is reflected. Of the terrestrial (long-wave) radiation re-emitted from the Earth’s surface, most is re-absorbed by the greenhouse gases and only a little escapes directly through the atmospheric window. Long-wave radiation re-emitted from the atmosphere (greenhouse gases, clouds) is either returned to the Earth’s surface or released into space. 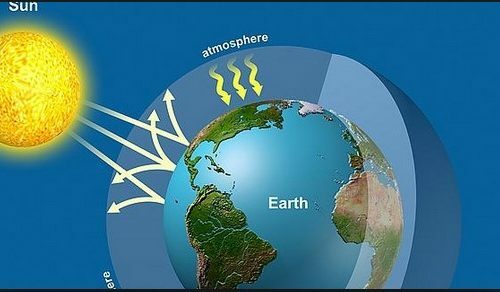 The net result of this greenhouse effect is to increase the amount of energy stored near the Earth’s surface, with a consequent increase in temperature. 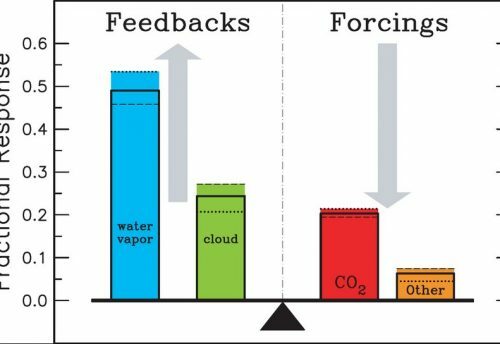 There are also additional heat fluxes associated with evaporation and transpiration which balance the energy fluxes into and out of all parts of the Earth-atmosphere system.